If you don’t like the look of eyeglasses, you’ll be glad to know that most vision problems can be corrected with one of the many types of contact lenses. The doctors at Marina Del Rey Optometry stay on top of the latest technology and use advanced equipment so they can provide the highest quality contacts, even if you need a specialty fit. If you’re interested in getting contact lenses, call their office in Marina Del Rey, California, or schedule an appointment online. What vision problems are corrected with contacts? Contact lenses correct the same vision problems as eyeglasses, including nearsightedness (myopia), farsightedness (hyperopia), presbyopia, and astigmatism. The back side of each contact lens is curved to match the shape of your cornea, while the front side is shaped to correct your vision problem. Hard contact lenses, called rigid gas permeable lenses, hold their shape while allowing the free flow of oxygen through the lens to the cornea. Soft contacts are made from pliable plastics called hydrogels that absorb water to keep the lenses soft while allowing oxygen to pass through the lens. Hybrid contact lenses are made from rigid gas permeable material in the center with soft material around the edge. Should you consider extended wear contacts? Extended wear contacts made from silicone hydrogel allow up to six times more oxygen to reach your eyes compared to typical contacts, which is the key to preventing eye problems during extended wear. Several brands of soft and hard contacts are FDA approved for up to seven or in some cases 30 days of continuous wear, but some people aren’t good candidates for extended wear contacts. Your doctor at Marina Del Rey Optometry determines whether you can use extended wear contacts after an examination to assess your eye health and vision needs. 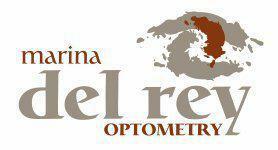 At Marina Del Rey Optometry, you have access to one of the largest collections of contact lenses in the region. They have all types of specialty contacts, carry the best brands, and they offer daily disposable contact lenses. Daily disposable contact lenses offer a healthy and convenient way to wear contacts. They give your eyes time to breathe, ensure there’s no dangerous buildup on the lens, and eliminate the need for cleaning. Can you get contact lenses if your eyes are hard to fit? The doctors at Marina Del Rey Optometry are experts in specialty fits, or developing contacts for eyes that are hard to fit. They have the advanced equipment needed to precisely measure your eyes and the latest contact lens technology so they can provide custom-fitted contacts.